Waxed linen cord looks great, is very strong and coated with a hydrocarbon wax, and can be used for all sorts of jewelry applications. This cord is the authentic Irish linen thread made by the Crawford Thread company in Ireland. 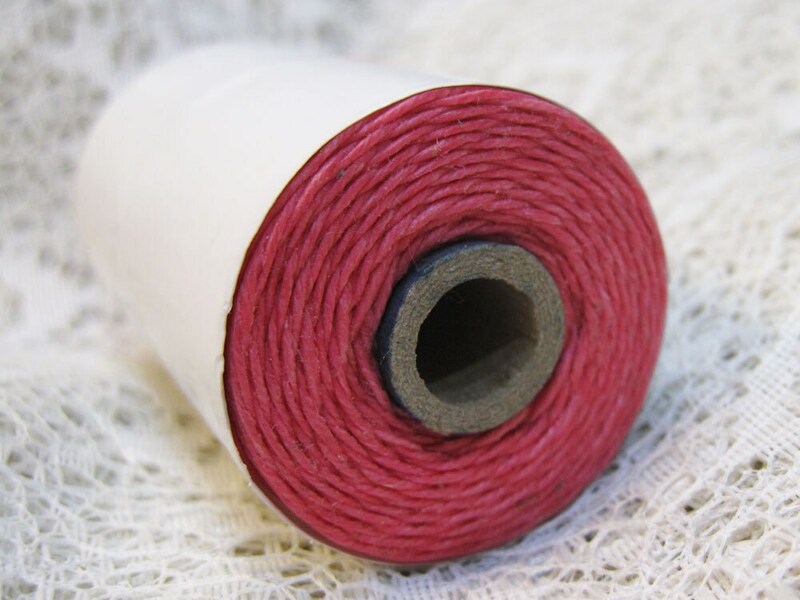 You will receive 12 yards of fuchsia waxed linen, 4 ply or 4 cord. This is a dark pink color. Nice color and not too much wax! Love the quality and the color..Worked well for my jewelry project!